The financial system you are running today can probably trace its heritage back to the ‘80s and ‘90s. Since then, the needs of finance organisations have changed dramatically, but financial systems have failed to adapt at the core. 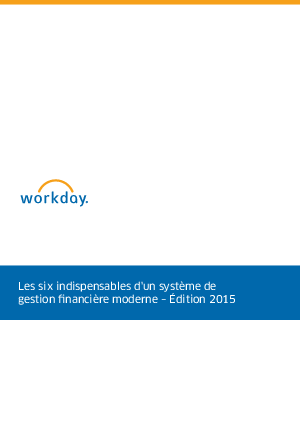 Workday Financials is the only financial management solution designed in the past 10 years that incorporates the latest technologies, functionality and design ethics at the core to address what modern finance organisations need.